"The last time we took a look at a CPU cooler from Cooler Master it looked pretty awesome, but the performance was a little lacking. Today we have a pretty beefy cooler from the company that boasts dual fans, dual heatsink towers, and six large copper heatpipes. 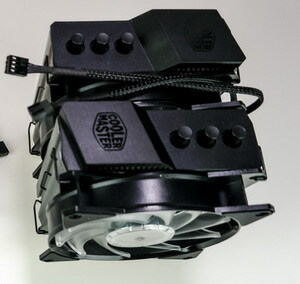 Is this the Cooler Master air cooler you want for those overclocks and intense gaming sessions? Read on as we find out!"